So here’s a version 2.0 of the SD Gundam RX-72-2 papercraft that I have built before. This time I used colored paper for most of the parts. This way the seam lines are much better. Also since this is the second time I built this, the shapes are much better since I know how the parts are constructed and how the fit together by now. 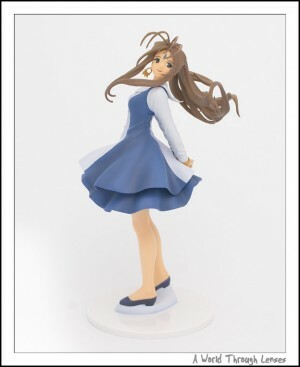 Banpresto/Kotobukiya Ah! 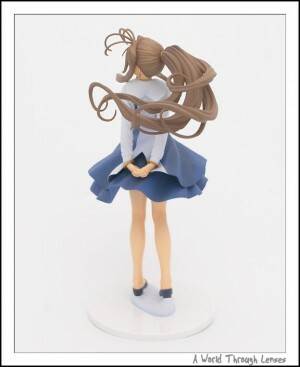 My Goddess Belldandy Plain Clothes 1/8 PVC (バンプレスト/コトブキヤ ああっ女神さまっ ベルダンディ 私服Ver.). Original sculptor 中邨拓智. Released on July 2006 with an MSRP of ¥5,040.